Tuskegee University is committed to providing an academic climate and regulations and procedures necessary to assist students to progress sequentially and effectively toward their educational goals. A copy of the Tuskegee University Academic Regulations and Procedures for Undergraduates is provided for each student. Periodically, new regulations and revisions will be released through memoranda by the Provost. Students are responsible for becoming familiar with the regulations and are expected to comply with them. They should also become familiar with the Tuskegee University Bulletin (Catalog), Student Handbook and System of Judiciaries and policies governing financial aid. Additionally, students should read and become familiar with course schedules, which can be obtained from the dean’s office of the respective department. The administration of each academic program is guided by the Dean of the academic unit. Students should consult their academic advisors and department heads when needed on matters relative to academic affairs, and they may confer with their College Dean and with the Provost if the situation warrants. Programs offered in Teacher Education, Engineering, Architecture, Social Work, Nursing, Allied Health and Veterinary Medicine have supplemental regulations which are not outlined in these regulations. Students will need to report to the appropriate dean’s office to receive a copy of the additional regulations and procedures. Students who have been officially accepted to Tuskegee University must have on file an official final high school transcript which must indicate date of graduation and signature of school official and/or seal. The student who fails to provide the official transcript at the time of initial enrollment, will be permitted to enroll for a first term only. The student will not be permitted to register for a second term if the official transcript has not been received by the end of the first term of enrollment. It is the responsibility of the student to ensure that Tuskegee University receives the official transcript. Advising is an important part of the academic process. Students must confer with their academic advisor for assistance before selecting courses. Courses should be taken in sequence, in accordance with the curriculum for the degree. Students must follow the rules and regulations of the University, and they must successfully complete each course in the curriculum to receive a degree. The student is ultimately responsible for successfully completing curricular requirements. Therefore, each student should maintain accurate records of his/her progress in meeting requirements for the degree. If there are prerequisites for courses, they must be met before the student is permitted to enroll in the courses. During preregistration, students are permitted to enroll in the next level of courses. However, if students fail to meet the prerequisites by the beginning of the subsequent term, they must correct their registration by dropping those courses for which they have not met the prerequisites. The University reserves the right to administratively drop students from courses anytime during the semester for which they are not properly registered. The Registrar is the official spokesperson for the University with regard to the successful completion of any curriculum. An individual faculty serves as an advisor, but does not have the authority to release statements that the student has met degree requirements. Registration is the process by which one becomes enrolled as a student at Tuskegee University. Its two basic steps are the completion and filing of informational forms and the payment of incidental and other fees for various purposes during a prescribed time period. Registrations are audited by the Registrar and the Provost to assure that students are in compliance with the regulations. In the event that the audit reveals that students are not in compliance with the regulations, they will be required to correct their registration. Additionally, the University reserves the right to administratively drop students from courses, or withdraw them if they refuse to correct their registration. Become familiar with the University Calendar appearing in the Course Schedule Booklet and a number of other media throughout the University. Familiarity with the Calendar makes the registration process easier. Complete registration according to regulations. Credit will not be earned unless the official registration is filed with the Registrar. The Student Data Form is critical to the registration process. Each student must provide correct information so that documents such as grades, registration materials and bills will be received by the student. Students who falsify information, particularly those who intentionally change address data to incorrect information, may be suspended from the University. Consult with the appropriate academic advisor and secure the right signatures on forms as required in order to make certain that proper course sequences for the curriculum in which the student is enrolled are being followed. Become familiar with the fee structure and inform his/her parents/guardians where applicable of the fees required for enrollment. Students who do not complete their registration in accordance with the dates stated in the University calendar will not be allowed to attend classes. FULL-TIME STUDENT: Full-time student is one enrolled in an academic program of at least twelve semester hours or in an assignment which is not necessarily course work but whichrequires a full scholastic day’s work to accomplish. Such an assignment would be an undergraduate student’s Cooperative Education field project. PART-TIME STUDENT: A part-time student is one enrolled in an academic program totaling less than twelve hours or in an assignment which is not necessarily course work but which requires a portion of a scholastic day’s work to accomplish. UNCLASSIFIED STUDENT: Unclassified student is one who does not wish to become a candidate for a degree. The individual may select specialized programs or enroll in short courses (or “minicourses”) that will prepare him/her for a particular vocation or promotion and advancement in occupations or fill some general need or interest. Should an unclassified student subsequently desire to become a candidate for a degree, the amount of credit for work already completed will be determined by the department in which the student expects to major. TRANSFER STUDENT: A transfer student is a person admitted/applying to Tuskegee University after attending another institution of higher learning. A student who attends summer school immediately after receiving a high school diploma and before enrolling at Tuskegee University will not be considered a transfer student. If the student expects to transfer college credit hours completed during the summer period prior to enrolling in Tuskegee University, a transcript must be submitted to the Registrar by September and the student must also inform his/her advisor that transfer credit is being requested. A transfer student must indicate on the application for admission all previous colleges or universities attended. A student who has registered in other colleges and/or universities may not disregard his/her record in such institutions and make application for admission to Tuskegee University solely on the basis of the high school record. Any student who does so is subject to suspension from the University and transfer credit will be denied. A transfer student must satisfy the general orientation requirement. If the transfer student transfers at least 30 semester hours, only one semester of orientation is required; otherwise, two semesters of orientation must be taken. A transfer student who has not received transfer credit for Mathematics, English, and Reading, and who does not present satisfactory records on tests specified by the University must take Placement Examinations prescribed before enrolling in any courses. A transfer student must satisfy Physical Education requirements. 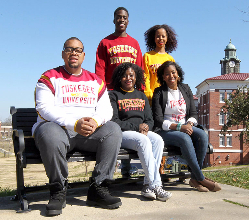 A transfer student must be eligible to reenter the institution last attended when application for admission to Tuskegee University is submitted. A letter of good standing from the institution last attended. A certificate of high school work covering the Tuskegee University requirements for admission. An official transcript of the work done in all institutions prior to application for admission to Tuskegee. This transcript should reach the Admissions Office of Tuskegee University at least one month before the date the candidate expects to enroll. If possible, a marked catalog showing coursesreferred to in the transcript presented should be submitted. A cumulative grade point average that meets at least the minimum academic retention level set by Tuskegee University as defined in this document under the section on “Probation, Suspension, and Dismissal”. The courses accepted and the number of hours completed determine the classification of a transfer student. Transfer credit is given only for courses approved by the Dean of the School in which the student applies for admission. Transfer credit will be awarded on a course-by-course basis. Courses in which students earned “D” grades will not be considered for transfer credit. Credit toward graduation is given only for courses that have been approved for transfer by the dean. The maximum transfer credit allowed to meet degree requirements will not exceed 80 hours. Courses taken on a pass/fail basis will not be considered for transfer. Courses in which credit was not awarded for the degree will not be considered for transfer credit. A student who wishes to apply for financial assistance should request each postsecondary institution attended to forward an official financial aid transcript to the Tuskegee University Office of Student Financial Services. INTERNATIONAL STUDENT: Every effort is made to place the international student in classes commensurate with the student’s level of achievement. The academic credentials of each international student are evaluated with awareness for foreign programs. The Admissions Officer consults with the Dean of the College in which an international student should be registered. As a result of this consultation, a decision is made about the amount of credit a transfer student receives based on the student’s prior academic achievement. Where, after consultation, there is doubt as to how the transcript shall be evaluated, the student will be given an advanced placement test in the subject(s) in question, without penalty for failure. Permission for any student to take the Placement test(s) must be secured from the Dean of the College in which the student is registered. Such test(s) will be administered by the Testing Officer prior to the student’s registration for classes in accordance with provisions prescribed under Examination for Credit of this handbook. The International student transferring to Tuskegee University from another international institution also must satisfy requirements listed under the headings “Documentation for Enrollment” and “Transfer Student”. TRANSIENT STUDENT: This term applies to the student enrolled in another college who wishes to take courses at Tuskegee University for one semester, then return to the other college for the degree. A transcript from the other college is not required; however, Tuskegee University reserves the right to request scholastic credentials or official evidence of enrollment from the other college. The student should present an official transcript or a letter of good standing from his/her institution. When a transient student is accepted, admission to Tuskegee University will be only for the term indicated on the transient form. Subsequent admission may be approved uponrequest. If the transient student wishes to transfer to Tuskegee University, application as a regular transfer student and official transcripts from all previously attended colleges must be submitted. An academic advisor is available to each student. The advisor issues the student a curriculum sheet. The curriculum sheets are also available in the Dean’s offices. It is the responsibility of each student to secure a curriculum sheet and follow it to meet graduation requirements. Many courses require prerequisites. The student must meet stated prerequisites before permission is granted for enrollment in a particular course. Most curricula are designed for completion in four years and there are few which may require five years. The University reserves the right to delete curricula, make changes in courses which will require the students to meet the standards of the courses at the time they are taken, delete and/or add courses, and change standards in the curricula. If the curriculum changes, the student may be permitted, as a rule, to follow the curriculum published in the catalog for the year in which he entered the University. However, should a student take more than five years to complete a curriculum, the student shall be required to meet the new curricula requirements including any increase in the total number of hours. If a student changes his major, the student will be guided by the curriculum in force at the time the major is changed. Due to external agencies, such as the accrediting bodies or to meet societal needs, a curriculum may be required to change on short notice, for example, in areas like Nursing, Veterinary Medicine, Teacher Education, and Engineering. When changes in the curriculum are made, the student will be notified by the Dean of the College so that a plan of action will be made in consultation with the advisor for the student to meet graduation requirements. A student may register at Tuskegee University and concurrently at another educational institution only with the written approval of the College Dean in which he/she is enrolled. The total class load the student may take cannot exceed the load prescribed by Tuskegee University. A student may register at another institution for course credit only with the prior written approval of the College Dean in which he/she is enrolled. The student should provide the College Dean a description of the course from the institution in which the student wishes to enroll. The description will enable the Dean to determine the compatibility of the course to the Tuskegee University course. A limit of eighteen semester hours of work will be the maximum allowed. The course is appropriate for the student’s degree program. The student is not a transfer student who has completed more than eighteen semester hours at another institution. A student who is a transfer student with at least 18 semester hours of transfer credit will not be allowed to take additional hours at another institution. Transfer credit will not be granted for substitute courses taken at another University if the student has earned a D or E grade in the course at Tuskegee University. A student who earns a D or F grade in a required course at Tuskegee University must repeat it at Tuskegee University. A student engaged in off-campus cooperative work-study programs not leading toward credit will be required to register for the period he/she is engaged in off-campus work experience and to pay a registration service fee. In order to audit a course, a student must receive permission of the instructor and the consent of the Dean of the College. Only one course may be audited during a semester. A student must register as an auditor for a given course after securing the signature of the faculty adviser on the course selection form or change in registration form and file the form with the Office of the Registrar. A full-time student is not required to pay any additional fees to audit, but he/she must have permission to take an overload if applicable. Total credit hours, including audited course, should not exceed 22 hours, excluding choir band and ROTC. Maximum class load for summer is 10 hours. A part-time student is required to pay the full fee per credit hour for courses which he/she audits. Credit is not awarded for auditing a course and no examination for credit may be given; however, a student is expected to attend classes for audit status. A student may register for credit in a course previously audited only with written permission of the Dean of the College. A student may drop, add, or change courses or sections of a course with the permission of his/her instructor and advisor. Additions/drops and changes in courses and course sections must be done in accordance with the University Calendar. A student who wishes to change his/her schedule after having registered must pay a fee listed in the University Schedule of Fees. The proper forms for dropping, adding, and changing courses or course sections should be obtained from the College Dean or Registrar. These forms must be signed by the course instructor and the advisor. The University reserves the right to require the signature of the College Dean before a student may drop certain courses, particularly those general education requirement courses that must be taken in the lower division. Additionally, some changes may require the approval of the Provost. All changes in Registration must be submitted to the Registrar to become valid. The Registrar will notify the College Dean and instructor of validated changes by way of updated class rolls and/or final grade sheets. Courses dropped within the calendar dates for changing sections and courses will not appear on the student’s permanent record. A student who drops all courses must also complete the withdrawal procedure. Appropriate refunds will be determined by the Business Office. A student desiring to withdraw from Tuskegee University must confer with his/her College Dean. The Dean initiates the withdrawal procedure which is processed through the Office of the Dean of Students and completed in the Registrar’s Office. The effective date of withdrawal is the date that the form is processed in the Office of the Registrar. The Registrar, in turn, notifies the College Dean, instructor, Director of Financial Aid and all others who need to know of the withdrawal. The grade for unofficial drops and withdrawals is “Y”. The last date for withdrawal for first semester is the Tuesday before the Thanksgiving recess, for second semester it is the third Friday in April, and for the summer session it is the third Friday in July. A student may receive an administrative withdrawal because of disciplinary action, failure to comply with policies and procedures, or for failure to meet financial obligations in a timely manner. An official letter indicating the withdrawal will be released to the student and the appropriate University officials will be notified. The grade for administrative withdrawal is “W”. A student who receives a disciplinary action of “suspension or expulsion” will have an administrative action posted on the academic transcript. Requests to substitute required courses in a curriculum must be submitted, with justifications, to the Dean of the College in which the student is enrolled. If the Dean approves a request, the Dean notifies the Registrar. Each student must officially clear all substitutions by the first Friday in November for the first semester, by the first Friday in March for the second semester, and by the first Friday in July for the summer term. Lower level courses cannot be substituted for upper level courses. Substitutes cannot be made for the Reading, Orientation and Physical Education requirements. A student not regularly enrolled in two consecutive terms is required to apply for reenrollment at least one month before the opening of the term in which enrollment is desired. The forms for reenrollment may be obtained from the Registrar’s Office. A student who withdraws from the University or from a professional program for any reason must apply for reenrollment through the Registrar. The Registrar will refer the application to the appropriate College Dean for approval before action is taken on the request. Permission to reenroll will not be granted unless the dean is satisfied that the student withdrew for sound and substantial reason(s). A normal load for a full-time undergraduate student in good standing shall not exceed eighteen (18) credit hours per semester exclusive of ROTC, choir and band. An additional fee is charged for each credit hour beyond 18 in accordance with the prevailing fee schedule. Students whose cumulative grade point averages fall below 2.00 may not exceed fifteen (15) credit hours. The maximum class load under any circumstances is 22 hours per semester exclusive of ROTC, choir and band. The maximum class load in the summer is 11 hours except for students enrolled in internships, clinical and field work. The curriculum sheets determine the normal class load. The usual maximum class load is eighteen (18) semester hours and in cases where four-hour courses exist, the load may reach nineteen (19) credit hours for a given semester. All students may register in accordance with the curriculum up to nineteen (19) hours without special approval. A freshman and sophomore student may not elect hours in excess of the load listed on curricular sheets. Only junior and/or senior students whose cumulative grade point averages are at least 3.00 may register for hours beyond nineteen (19) and up to a maximum of twenty-two (22) credits during a given semester. The load for the summer is nine hours. Students who hold cumulative grade point averages of at least 3.00 may be approved for a maximum load of 11 hours. The student must apply to his/her College Dean who may recommend requests for such increases in class loads. The Dean of the College must notify the Provost in writing of recommended cases. The Provost will not consider requests of students whose cumulative grade point averages fall below 3.00. Approved requests by the Provost will be forwarded to the Registrar. The minimum class size during the academic year is 15 students and the summer is 10 students. The University reserves the right to cancel classes with fewer students than the stated minimum. Exceptions may be made by the Provost. Each student is required to take ENGL 0101 and ENGL 0102 . A grade of at least “C” in ENGL 0101 and ENGL 0102 must be earned. A student who demonstrates suitable proficiency in these courses as determined by the Department of English and Foreign Languages may be assigned to other English courses but will not be required to take ENGL 0101 and/or ENGL 0102 . Students who enter with a SAT Verbal Score of at least 540 or an ACT English Score of 23 or a B average in high school English classes will be placed in Honors ENGL H101 . Detailed information on placement in other English courses is located in the Admission Office and the English Department. The entering freshman student will register for mathematics courses as determined by his/her level of performance on the tests specified by Tuskegee University. Students who enter with a SAT Math Score of at least 540 or an ACT Math Score of 24 will be placed in MATH 0110 . Detailed information on placement in other mathematics courses is located in the Admission Office and the Mathematics Department. A student may satisfy the mathematics curricular requirements in his/her specific major by demonstrating suitable proficiency in mathematics as determined by the Department of Mathematics. Each new student is required to take two semesters of general orientation during the freshman year. The transfer student who transfers at least 30 semester hours must also satisfy the general orientation requirement by completing one semester of orientation. The purpose of the English Proficiency Examination (EPE) is to certify that a student graduating from Tuskegee University has demonstrated proficiency in the use of the English language by passing a standardized test on usage and by writing a coherent, articulate essay. A student should register in his/her Dean’s Office for the English Proficiency Examination as early as possible during the sophomore year. The examination is administered to students who have earned at least the “C” grade in ENGL 0101 and ENGL 0102 and who have passed at least 30 hours. A student’s eligibility to take the examination is determined by the College Dean. The examination of ineligible students will not be evaluated. No student can be graduated until the Registrar has a statement from the Provost certifying that he/she has passed the English Proficiency Examination. The examination is given three times a year — once in the fall, spring and summer. The dates are printed in the University Calendar. A student who does not take the examination at the scheduled time must wait until the next scheduled examination. The student who fails the examination the first time may take it again or as many times as necessary to make a satisfactory score. Both parts of the examination must be taken on the first attempt; thereafter, only those portions of the test failed need to be taken. Tutorial sessions will be provided to meet the deficiencies of students who fail the EPE. Each student will be REQUIRED to avail himself/herself of this opportunity until he/she has passed the examination. A student who holds an undergraduate degree from another U.S. institution and who is pursuing a degree at Tuskegee University will not be required to satisfy the EPE requirement. Additionally, a student who is enrolled in a Dual Degree Program and who has met the lower division requirements (Freshman and Sophomore requirements) at the parent institution at the time of admission to Tuskegee University, will not be required to meet the EPE requirement. Orientation. Orientation should be taken during the first year of enrollment. The English Requirement. The student must pass at grade “C” level, ENGL 0101 and ENGL 0102 . The student must pass both parts of the English Proficiency Examination. If the student’s curriculum requires MATH 0107 , the student must meet this requirement. If a student is deficient in any one of the above requirements, the student will be allowed to work only on that requirement, which means that the student may be part-time. If the student has not taken and/or passed the English Proficiency Examination, after the 60 hours, the student may not enroll in any courses and special tutorial sections will be designed to assist the student. Each student is required to earn a minimum of two credits in two physical education activity courses. One activity course will not satisfy the Physical Education requirement. A student who has physical disabilities is required to complete courses specifically designed for him/her. The course is usually “Adaptive Physical Education.” Documentation of disability is required. A student who has earned a bachelor’s degree is not required to meet the physical education requirement. Students who are enrolled in Army and Air Force ROTC programs may meet the physical duration requirement as determined by the Unit Heads of ROTC. Each semester, the Unit Heads of ROTC will submit a list to the Provost, College Deans, and Registrar with the names of the students who have met the physical training requirement. No substitution courses will be listed on the transcript, but the designation by the ROTC units will be sufficient to satisfy the physical education requirement. A student whose curriculum requires two years of study of a foreign language and who has studied French or Spanish before coming to Tuskegee must take a foreign-language proficiency examination in that language before enrolling in it. A student demonstrating an acceptable level of proficiency will be exempted from either the whole or a portion of the requirement in his/her program, the exemption being based upon the level of proficiency demonstrated. The student, in consultation with the College Dean, will enroll in other courses for the equivalent number of credit hours which he/she was exempted. The student is expected to attend regularly all courses in which he/she is enrolled and to complete all required work in such courses. Irregular attendance or any substantial number of absences will weigh adversely in the consideration of any petition for a special academic privilege, such as makeup examination(s). Makeup examinations are rarely given. A student who enrolls for a course is expected to attend the class beginning with the first day of class. However, a student who does not attend the class for the first time in accordance with the date listed on the University calendar may be denied the right to enter the class and the space reserved for him/her may be lost. The student may, therefore, be required to drop the course. Validation of absences while engaged in official representation for Tuskegee University is secured through the Provost. Evidence giving justification for absences because of illness and other personal reasons must be provided by the student to the instructor. The instructor has the right to accept or deny the justification. Class periods beyond 5:00 p.m. may be scheduled for longer periods to accommodate undergraduate students and other groups of students including those enrolled in continuing education, graduate courses designed for adult learners. Variations from the above schedule must be recommended by the College Dean and approved by the Provost. Class hours for the summer session will be found in the Summer School Schedule of Courses. Punctuality in attending classes is expected of the student. Official registration is required for class attendance. The atmosphere in the classroom should be one in which the greatest amount of desirable teaching and learning can take place. Therefore, the instructor has the right to establish the rules and regulations for the classroom for it to a conducive place for teaching and learning. All unnecessary noise and confusion must be avoided and this can only happen when the students realize their responsibility for proper and courteous behavior. Respect for the professor and classmates in the classroom is essential. Moreover, obscene language and aggressive behavior will not be tolerated. Any student judged by the instructor to be verbally or physically disruptive will be removed from the classroom immediately by a Campus Safety and Security Officer and the student will be withdrawn from the class. Regular and punctual attendance is the responsibility of the individual student. The student is expected to assume the responsibility for regularly attendance and to accept the consequences of failure to attend. The student is not permitted to bring children, pets or other guest to class. The student is responsible for purchasing books and other required material during the first week of class. The student is responsible for all material covered and assigned in each course for which he/she is registered. Absence from class does not relieve him/her of this responsibility. The student is expected to be present for all laboratory periods, scheduled examinations, and other activities that may require special preparation. The student is responsible for initiating any request to make up an examination, a laboratory exercise, or other work missed because of class absence. If the instructor requests a statement concerning the reason for the absence, the student should obtain appropriate documentation. The instructor reserves the right to accept or reject the documentation. The instructor is responsible for explaining to the class, at the beginning of the term, any specific expectations concerning attendance. The instructor is responsible for providing the student with a course syllabus, information on the examinations and other class requirements that will provide a basis for evaluating student performance. The instructor may choose to modify course requirements during the semester. Modifications will be announced in class. The instructor is expected to give at least two evaluations and provide students the results before the last day for dropping classes. These evaluations will also be computed in the final grade. The instructor is required to evaluate the performance of students and inform them of the results in a timely manner. The instructor is required to give a final evaluation in each lecture course. In most cases this will be a final examination. However, in several courses this could be a paper or project. The final examination must be given in accordance with the established schedule released by the Registrar. Advanced placement courses offer the students the opportunity to do college-level work while still in high school. They are available to qualified, academically oriented students in the eleventh and twelfth grades. Upon completion of the AP course, students may take the nationally administered examination in May. According to their performance on the examination, they may receive up to twelve college credit hours for each examination they take. This makes it possible for a student who is successful on the examination(s) and in the courses(s) to enter college at or near the sophomore level. An AP Grade Report is sent in early July to each student, school, and if the student requests it, to his or her college. 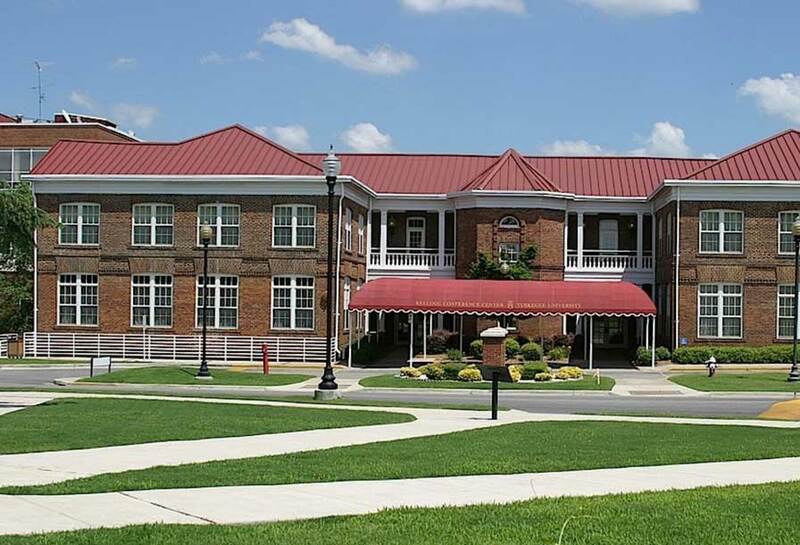 Tuskegee University accepts only grades of 3 or above. The student may apply for the examination by submitting a written request to the Dean of the College in which he/she is enrolled. Should the Dean approve the request, then the student must secure the approval of the department in which the examination is to be administered and the Dean of that College. The Dean will forward the request to the Provost for action. In no case may such examination be based on work used for graduation from high school, in a foreign language that is the mother tongue of the applicant, or in a course not listed in the Tuskegee University Catalog. Grades earned in these examinations shall be submitted and recorded in the same way as regularly registered courses. Examinations for credit will not be approved for courses that have been failed, audited, or for courses below the level for which college credit has been granted previously. All examinations for credit must be authorized by a committee appointed by the Provost. No examination shall be administered until the applicant has received a permit from the Registrar’s Office for which the appropriate fee per credit hour has been paid. The College-Level Examination Program is designed to provide an opportunity for a student to earn college credit for courses in which he/she can demonstrate a satisfactory level of proficiency. The decision to earn credit for a specified course through CLEP should be made prior to enrolling in the course. A student who plans to take CLEP examinations should consult his/her College Dean for information regarding Tuskegee University courses equivalents, fees, and semester credit hours. The tests are administered by the University Testing Officer. A student wishing to sit for a CLEP examination at Tuskegee University or another Center should request written permission from the College Dean. A student’s grade point average will not be affected by CLEP examinations. The student must score at the acceptable level which is published for the CLEP general examination and subject examinations to receive credit for the courses that are substantially similar to those required in the curriculum for which the student registered or which may be used as electives. Credit may not be awarded for a course in which a student has received the “D”, “F”, “Y”, or “F” grade. Credit by examination and CLEP should be taken during the early semesters of a student’s enrollment. No student will be permitted to take an examination for credit including CLEP in the semester in which he/she completes the requirements for graduation. A student enrolled in 300 and 400 level ROTC courses may use them in his/her requirements for graduation. The maximum number of hours for substitution is twelve. Substitutions are made for free electives only. The student should consult his/her School Dean for information regarding the substitution and procedure for making use of ROTC courses as a part of the requirement for graduation. Basic level ROTC, 100 and 200 level courses, will not be used to meet the requirements for graduation. A student is classified according to the number of semester hours for which final grades are recorded. The classification is based solely on hours completed. A student who has accumulated less than 30 hours is classified as a freshman. A student who has accumulated at least 30 hours but less than 60 hours of a prescribed curriculum is classified as a sophomore. The highest classification in a pre-professional program is sophomore. A student who has accumulated at least 60 hours but less than 90 hours of a prescribed curriculum is classified as a junior. A student who has accumulated at least 90 hours of a prescribed curriculum is classified as a senior. Classification in a professional program is based on level of work. College credit that is approved for transfer from other institutions of higher learning is used in determining a student’s classification, but it is not used in calculating the cumulative grade point average. The grade point average is computed for all courses taken while enrolled at the University – whether the courses are in the student’s current curriculum or not - and all courses pursued in other Tuskegee University official exchange programs. For Veterinary Medicine students, courses completed in the Animal/Veterinary Science program are excluded. The student’s cumulative hours are 23 and the cumulative grade point average after completing two semesters is 60/23 = 2.61. The grade “I” (Incomplete) is given when work in the course has been substantially completed but the student has missed an examination or has failed to perform some other requirement of a course because of illness, emergencies and other justifiable circumstances. The student or his designee must initiate the request before the instructor records the final grade and documentation of the circumstances must be presented to the instructor to be considered for the “I” grade. The “I” grade is not given unless the student has satisfied the minimum attendance requirements set by the instructor and is otherwise doing “D” work or better in the course. Administrators cannot be involved in assigning the “I” grade. In reporting the “I” grade, the instructor is required to submit with that grade the final letter grade which the student would receive should he/she fail to complete the requirement for which the “I” was assigned, such as “I”/”C”, “I/F”, and so on. The alternate letter grade then becomes the final grade for the course if conditions for the “I” grade are not satisfied. The Registrar will record the designated grade in the permanent record, and it will be included in the grade point average computation. In the absences of an alternate grade, the “I” grade becomes permanent. The instructor is required also to enter in the “Remarks” section on his/her grade report sheet the specific reason(s) for the “I” grade and to record the requirements to be fulfilled for its removal. The Dean is to obtain this information for permanent record so that if the instructor is unavailable to supervise removal of the Incomplete, the student’s department chairperson will be able to take responsibility for supervision and recording the grade change. Reenrollment in the course is not required to remove the “I” grade. A student may also remove the “I” without being enrolled at the University. However, the student who is enrolled must complete the work for which the I grade was given in accordance with the following schedule: if the “I” grade was recorded during the first semester, the work must be completed by the third week in April; if the “I” grade was recorded during the second semester, the work must be completed by the third week in November; or the work may be completed in the Summer, if this is the case, the work must be completed by the third week in July. Following the completion of work, the instructor has six business days to deposit the grade in the Office of the Registrar. “I” grades submitted on grade sheets at the time that grades must be submitted for degree candidates cannot be changed before graduation. Degree candidates must complete all work in accordance with the early examination schedule for seniors if they plan to receive the degree in the May Commencement. Failure to remove the “I” grade during the next semester of enrollment will result in the posting of the alternate letter grade on the transcript. The time limit does not apply to courses listed as internships, projects, field work and clinical. The “F” grade is assigned when a student fails a course and when a student stopped attending classes and did not officially drop or withdraw from the course. The student who receives the grade of “F” in a required course must repeat the course until it is passed. Courses will not be offered offschedule to accommodate a student who receives the grade of “F”. The student must wait until the course is offered again in the regular schedule. Each “F” grade earned (including two, or more, in the same course) is included in the computation of the grade point average until removed, at which time only the passing grade is included in the computation. All grades earned, however, remain on the student’s permanent record. A student who makes a grade of “F” in a free elective course will not be required to repeat the course. Instead, he/she may take another free elective course. In either case, both grades will remain a part of his/her permanent record and will be computed in his/her grade point average. If the student repeats the free elective in which a grade of “F” was earned, the higher grade will be used to compute the grade point average. A student who makes a “D” or “F” in a course may repeat the same course for a higher grade. The highest grade only is computed in the grade point average. If a higher grade is not earned, each “D” or “F” grade (whichever is applicable) earned in the same course is included in the computation. All grades earned, however, remain on the permanent record. After a passing grade is earned, only the credit hours for the passing grade are included in the computation of the cumulative grade point average. After the final grades are deposited in the Office of the Registrar, they are no longer the property of the instructor. Grades cannot be changed because the instructor or Dean wishes to revise or make a second judgment on them. A decision to change a grade cannot be based on a second examination or assessment of new work. In the event an instructor makes an error in reporting a grade, the instructor must give written justification for the change to his College Dean. The Dean must approve of the new grade and file it in the Office of the Registrar. Tuskegee University compiles with the Family Education Rights and Privacy Act of 1974. One key component of this act is that a student’s academic record may not be released to any party without the written consent of the student. Official records are not open to the public and will not be released without the consent of the student. However, certain directory-type information may be released to the public on all students unless individual students state in writing to the Office of the Registrar that they do not wish for the information to be released. Such directory-type information may include name, address, telephone number, date and place of birth, major participation in activities, dates of attendance, and degrees and awards received. Academic information is confidential. However, in order for the university to serve our students, academic information is shared with university administrative offices and academic advisors for the purpose of providing these services to the student. Students may inspect and review their education record upon written request to the Registrar. This request should identify as precisely as possible the record(s) he/she wishes to inspect. The Registrar or staff designee will make the needed arrangements for access as promptly as possible and notify the student of the time and place to inspect the record(s). Access will be given in 10 days or less from the date of receipt of the request. A student may inspect and review only the record(s) which relate to him/her. A student may repeat courses in his/her major area of specialization to satisfy minimum achievement requirements of the College or department. This may involve specific courses or a pattern of courses prescribed for readmission into certain areas. In such cases, all grades are included in the computation of cumulative grade point average. If the above situation does not apply, a course may not be repeated for academic credit when a student has earned a grade of “C” or better in it. A student may take courses under a pass-fail system of grading. This permits an individual to follow his/her interests without an effect upon the grade point average. Junior and senior students can elect one course each semester on a pass-fail basis from electives included in their curricula and/or from enrichment courses. The maximum number of hours students may take on the pass-fail basis is twelve (12). Required courses cannot be taken in this manner. Credit for pass-fail courses is the same as for other courses. Cumulative grade point averages, however, include only graded courses. A student must indicate, within the period allowed for adding courses, whether a course is to be taken on a pass-fail basis. Credits earned on the pass-fail basis cannot be converted to a letter grade at a later time. The interested student should consult his/her College Dean for further information and listing of courses which are approved for the pass-fail option. Independent study courses may be taken upon approval of the advisor and College Dean. These courses are usually designed for junior and senior level students. A student must have at least a 2.50 cumulative grade point average to be eligible to enroll in an independent study course. Freshman and sophomore students are advised to take courses at the100 and 200 levels before they enroll in upper level courses. A student may enroll as an undecided major in selected areas but, is encouraged to declare a major as soon as possible. Each student must declare a major by processing the appropriate forms through the Office of the Registrar upon accumulating 60 hours. The change in major within an academic unit begins with the academic advisor. Next, approval must be secured from the department head to which the transfer is being made. Final approval must be secured from the College Dean where the student is enrolled and the College Dean where the student is transferring. Changes must be recorded on the proper form, and the entire form must be deposited in the Registrar’s Office for final processing and distribution. Students who wish to change their majors must make the changes two weeks prior to preregistration. 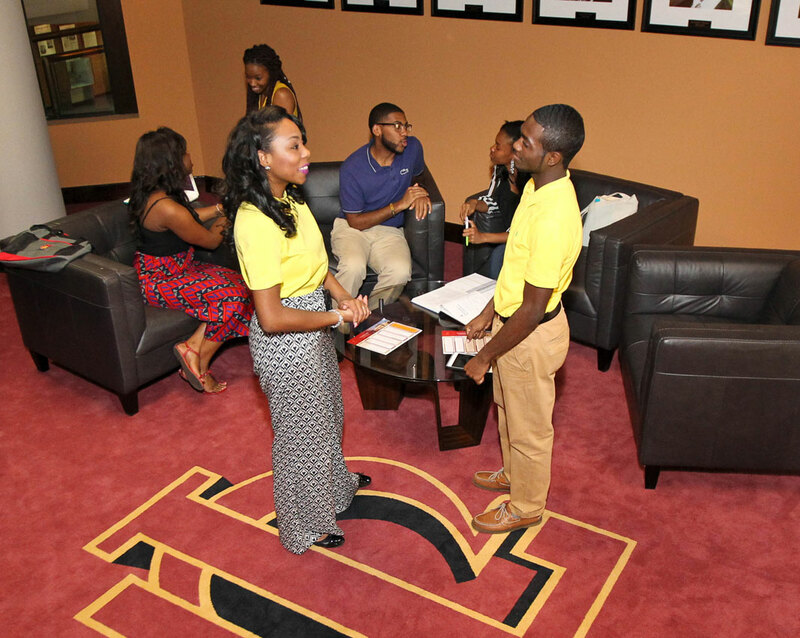 Tuskegee University administers an on-going assessment program. The purpose is to assess selected lifelong learning skills, particularly, those acquired in the first two years of college. These skills are reading, writing, reasoning, and mathematics. Periodically, various standardized test and survey forms are administered. Such assessments will be used to evaluate and make needed improvements in the University’s educational programs and provide effective counseling and guidance for students. Participation in these test and surveys is required, and the University has the option of taking necessary actions on students who do not participate in these assessments. Students who do not comply with the assessment policy will not be allowed to register the next term. We expect students to participate as they have in the past. If a student is unable to take the test on the scheduled date, it becomes the responsibility of the student to make arrangements with the Provost to have the test administered on a convenient date before the end of the term. Satisfy all the requirements for completion of the Lower Division. (Freshman and Sophomore requirements) To do this, a student must have received a passing grade in all courses required in the Lower Division of the particular curriculum which he/she has selected. Complete 90 or more hours with a minimum grade point average of 2.00 and satisfy the lower division requirements, i.e. orientation, English, physical education, and the English Proficiency Examination, to be eligible to file an application for graduation. Satisfy all of the requirements for completion of the Upper Division. To do this, a student first completes the Lower Division. This is prerequisite to admission to the Upper Division. The student must receive passing grades in all courses required in the Upper Division of the curriculum which he/she has selected. He/She must further pass such comprehensive examinations and complete such projects as may be required. The student must earn at least twice as many grade points as there are semester credits required in his/her chosen curriculum; that is, cumulative grade point averages must not be less than 2.00 (C). The student must meet the minimum grade requirement or average, for major courses in his/her area as stipulated on the curriculum sheet in the Dean’s and Registrar’s offices. Students enrolled in a “career mobility track” in the Nursing Program must have enrolled in the program for a minimum of two semesters and must have at least 30 of the required credit hours assigned to nursing courses taken at Tuskegee University. The student who has not completed requirements for graduation must be enrolled during the semester the degree is to be awarded. The student will not be permitted to take courses at another institution during the semester the degree is awarded. The student must pay the diploma fee one month in advance of the expected graduation date. The student must make proper settlement for all financial obligations which must be paid one month in advance of expected graduation date. The student must satisfy all specific requirements listed under the college in which he/she is registered. The student must successfully pass all University-wide examinations and examinations in his/her College including exit examinations. The student must successfully pass the English Proficiency Examination and satisfy the Reading and Physical Education requirements. The student must satisfy the faculty that he/she is a suitable representative of Tuskegee University. The student must file application for graduation during the prescribed period. If requirements are not completed by the time specified, a new application must be filed. IT IS THE STUDENT’S RESPONSIBILITY TO VERIFY HIS/HER STATUS WITH THE REGISTRAR. A diploma fee is required and must be paid for each application for graduation. All candidates for graduation must arrange a curriculum review with their academic advisors at least two semesters prior to the anticipated graduation date. The advisor must submit the completed official curriculum review no later than August 1 for May candidates and no later than December 1 for summer candidates. The Registrar will notify students of their status prior to the next registration period. Requests to substitute required courses in a curriculum must be submitted, with justifications, to the Dean of the College in which the student is enrolled. If the Dean approves the request, the Dean notifies the Registrar. The student must officially clear all substitutions by the first Friday in November for the first semester, by the first Friday in March for the second semester, and by the first Friday in July for the summer term. 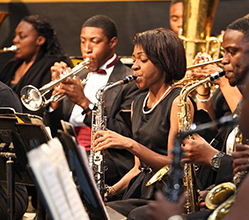 A student registered at Tuskegee University may pursue multiple degrees either concurrently or sequentially. Application should be made in the Registrar’s Office during the student’s sophomore year. Courses credited toward the first major may satisfy required or elective courses of subsequent majors as determined by the College Dean. Each degree may be conferred at the first commencement following completion of the requirements for that degree. Students may pursue dual majors for which curricular sheets are on file with the Registrar. The student must meet the minimum grade requirements for the dual major as stipulated on the curricular sheets in the Offices of the Dean and Registrar. Students may not graduate until all degree requirements have been certified by the Registrar. Degrees are awarded in official ceremonies during the spring and summer commencements. No student will be allowed to participate in the ceremonies unless all degree requirements have been met. However, a student who completes the requirements for the degree in December will be issued a letter with the University seal which states that the requirements for the degree have been completed and the degree will be awarded in May. Graduation with honors will be determined by the cumulative grade point average and residency prior to the semester that the degree will be awarded. If the diploma is mailed, the student must pay the mailing fee. Students who wish to receive degrees at the official ceremony are required to participate in commencement rehearsal the Saturday before commencement which is usually held on Mother’s Day. Appropriate academic attire must be worn. The University reserves the right to remove from the line of march any student who refuses to comply with policies on academic attire. The University has the right to rescind a previously granted degree if it is determined that the degree was given in error or should have never been awarded. The family of a student who dies during the student’s graduating semester may receive the student’s diploma provided the student attended at least twelve weeks of the graduating semester and six weeks of the summer session, and the faculty members indicate that the student was passing all courses at the required level to receive the degree. The student must be enrolled in all courses that would permit him/her to qualify for graduation and must not have any other outstanding requirements. The faculty shall make its recommendation to the Dean who will follow the established procedure for final approval. GOOD STANDING: A status in which a student has a cumulative grade point average (CGPA) of 2.00 or greater. ACADEMIC PROBATION: A status in which a student fails to maintain a cumulative grade point average of at least 2.00. ACADEMIC SUSPENSION: A status in which a student is prevented from enrolling at the University for at least one semester because of the failure to meet minimal academic requirements. ACADEMIC DISMISSAL: A status in which a student is academically suspended for a second time because of a failure to meet minimal academic requirements. A student dismissed is not encouraged to seek readmission. The dismissal may be final based on the student’s academic performance following an opportunity to make improvement. Decisions on academic probation, suspension and dismissal will be taken at the end of each academic year. All academic actions will be posted on the student’s transcript. At the end of the first semester, the student whose CGPA falls below 2.00 will receive a warning. A student who fails to earn a CGPA of at least 2.00 at the end of any academic year will be on academic probation during the subsequent academic year. However, a student on probation who passes at least 12 hours for each semester enrolled during the probationary academic year with an average grade point average of not less than 2.00 will continue on probation even though the CGPA is below the expected minimal level indicated above. A student whose CGPA falls below 1.00 will be promptly suspended from the University. Such a student shall not serve a probationary period. A student who fails to meet the minimal academic requirements of the University will be suspended for at least one semester (excluding the Summer term). After this period of time, upon reapplying, he/she may be readmitted on probation provided he/she has a satisfactory campus citizenship record. Each petition will be considered on its merits. Reinstatement is not automatic. A student who fails to meet the minimal academic requirements of the University for a second time will be dismissed. A student who is readmitted following an academic suspension must achieve the minimal CGPA requirements listed in “C” above by the end of the academic year in order to avoid dismissal. A student who enrolls in less than 12 semester hours (less than six for a summer session) will be considered as part-time. A part-time student will be evaluated in the same manner as a full-time student. A student must be able to document mitigating circumstances in order to appeal academic suspension and dismissal actions. The student must indicate in writing to the Provost the reasons for failure to meet the necessary satisfactory progress requirements. Documentation to support the appeal is required. Appeal letters for all students not enrolled in summer school at Tuskegee University must be received in the Office of the Provost prior to July 1. A student who enrolls in summer school at Tuskegee University may request a revaluation of his/her academic status not later than August 12. The Provost will submit the information to the Academic Appeals Committee. The Committee will forward its recommendation to the Provost who will inform the student of the decision. The Provost notifies the student, College Deans, Dean of Students, Vice President for Business and Fiscal Affairs, Director of Financial Aid, Registrar and other appropriate parties when academic actions such as these are taken: academic probation, academic suspension, academic dismissal, readmission on academic probation and removal from academic probation. There is a policy on “Satisfactory Academic Progress” to determine a student’s eligibility to receive financial aid which is separate from the above policy on academic actions. The student should consult the Financial Aid Office regarding the policy. Each student should become familiar with this policy. The student submits a written statement to the instructor’s College Dean setting forth his/her complaint, efforts to resolve it, and supporting evidence or justification for the complaint. The College Dean, on receipt of this petition, should provide a copy of same to the instructor or person concerned. The College Dean may appoint a Committee of the Faculty to review the written statement from the student, secure additional information that the students may have, and to hear and examine evidence and information that the instructor or person concerned may have to support his/her decision. The Committee then makes a recommendation to the College Dean, submitting to him/her all supporting data, and the Dean then renders a decision which is immediately communicated in writing to the student, the person(s) concerned, and the Committee. If the student or the person(s) concerned is dissatisfied with the decision of the instructor’s College Dean, he/she may appeal to the Provost. The person appealing to the Provost must show justification and documentation for the appeal to be heard. If this is done, the Provost will review all information and evidence, and if he/she wishes, refer the matter to a Committee for further investigation and recommended actions. The Provost then renders a decision which is to be communicated to the student, the person(s) concerned, the College Dean, and the members of the Committee who have heard the case. If the student or the person(s) concerned is dissatisfied with the decision of the Provost, he/she may appeal to the President of Tuskegee University. It is extremely rare that a case would require investigation at the level of the President. In fact, most decisions would be made at the Dean’s level. However, a student or the person(s) concerned must justify and show evidence why the appeal should be heard by the President after the decision of the Provost has been rendered. The President will make a final decision in the case and communicate it to the Provost and to all other persons listed in Number 3 above. All appeals of academic decisions, including request for review of instructors’ grades, must be initiated not later than 30 calendar days after the decision was made. A student who is not in residence should mail the written statement to the College Dean. Honesty in academics, as well as in other matters, is expected of everyone at Tuskegee University. It is the obligation of all to adhere to this standard. Individuals are expected not to cheat or be dishonest, not to create the appearance of being dishonest, and not to contribute to or condone the dishonesty of others. Dishonesty, such as cheating, plagiarism, or knowingly furnishing false information to officials of the University will not be tolerated. The penalty could include failure in the course and possible dismissal or suspension from the University. A Committee on Academic Honesty consisting of one faculty member from each College, and three students will be appointed by the Provost upon the recommendation of the College Deans and Dean of Students to hear charges of academic dishonesty. The chairman of the committee will be appointed by the Provost. When an instructor has reason(s) to believe that a student has been dishonest or has aided in dishonest acts, he/she immediately informs the student and follows up with a written statement of the charges to the student, the head of the department, and Dean of the College in which the student is enrolled. The written statement of the charges will be transmitted by the Dean to the chairperson of the Committee on Academic Honesty for a hearing. Separate charges or other offense(s) connected with dishonest incidents will be a part of the hearing, e.g., damage or destruction of property, threats or abuse - verbal or physical. The Committee will observe due process and concern itself with establishing facts and rendering a decision of not guilty or guilty. The student will be given an opportunity to appear before the committee. Action considered appropriate will be recommended to the student’s College Dean, who will inform the student of the findings and recommendations of the Committee, and of the Dean’s decision in the case. Grades for examinations and courses are the responsibility of the instructor, reflecting a professional judgement on a student’s academic competence and accomplishment. If the result of the hearing would affect the grade of an examination or assignment for the course, the instructor will enter an “I” grade until the verdict of guilty or not guilty has been given. The chairperson of the Committee on Academic Honesty will give prompt notice of the committee’s action to the student’s Dean, who will relay the information to the instructor and the student. A student who is adjudged not guilty will be entitled to an examination and/or grade within five (5) working days after the instructor has been notified of the verdict. Similarly, a student who is adjudged guilty will be awarded an appropriate grade within this specified period. Tuskegee University maintains the right to suspend or dismiss a student who has been judged guilty of academic dishonesty by a committee. The regulations set forth in this section pertain to the student whose cumulative grade point average may or may not be satisfactory according to the standards in the section on Good Standing, Probation, Suspension, and Dismissal, but whose performance in his/her field of specialization is unsatisfactory. The student must achieve certain minimum standards in his/her specialized field since this is the field of his/her choice and presumably the area in which his/her aptitudes and interests lie. Most cases falling under this section are adjusted through guidance. A student who is removed from a field of specialization under the provisions of this section may apply for immediate registration in other areas of the University. The student has earned during one semester two grades of “E” (D when C is the minimum passing grade) in certain subjects listed as essential for his/her choose field of specialization. The student has earned one grade of “E” (D when C is the minimum passing grade) in each of two consecutive semesters in subjects listed as essential for his/her chosen field of specialization. To be eligible for graduation with honors, a student must have been in residence for at least three semesters, excluding the semester in which he/she qualifies for graduation and must have completed 45 semester hours at Tuskegee University. In the calculation of residence, two summer sessions of full-time enrollment in each session are considered the equivalent of one semester. Candidates for honors must qualify one semester prior to commencement. Incomplete grades must be cleared for Honors consideration. A minimum overall grade point average of 2.00 (C). Achieve a grade point average of not less than 3.25 for a given semester. Pass at least 12 semester hours for a given semester unless the official curriculum in which the student is enrolled required less than 12 hours. The Dean’s List will be published following the close of the semester. In recognition of scholarship of high quality and for the promotion and encouragement of scholarly work, there will be published during the fall semester an Annual Honor Roll based upon the work of the preceding school year. To be eligible, a student must have a cumulative grade point average of at least 2.00 (C) and a grade point average of not less than 3.25 for the school year during which his/her eligibility is determined, and must have passed at least 12 semester hours each semester. Each year, one student will be designated as a University Scholar in each of the colleges. Be eligible for the Annual Honor Roll. Be the top ranking student who has completed at least 90 hours but not more than 110 hours in the college. Show exemplary personal qualities as attested by the Dean of his/her major area. The student who has maintained a grade point average of 4.00 qualifies as eminent scholar. If fewer than three students have a cumulative grade point average of 4.00, then the three students achieving the highest cumulative grade point average will be selected. All eminent scholars must also qualify for the Annual Honor Roll. Each honor society representing an academic discipline has a faculty or staff advisor elected by the members of the society and formally appointed by the appropriate department head at the beginning of each academic year. The faculty advisor will hold at least one meeting a semester with the active members of the society to review the plans of activities. Criteria for each honor society are located in the offices of the Provost, the appropriate dean and the faculty advisor.